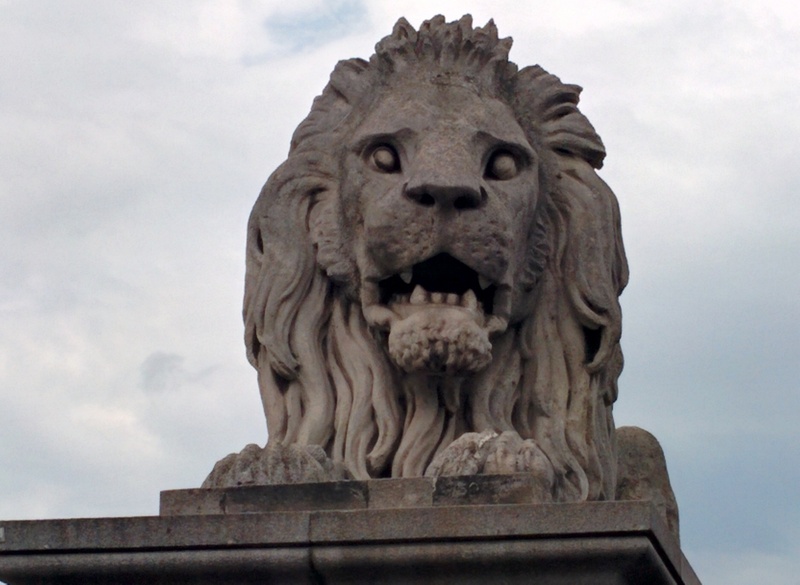 Yesterday, I crossed the chain bridge past this guy and entered the Buda side of the river. Six weeks ago. Charles and I had done Pest. 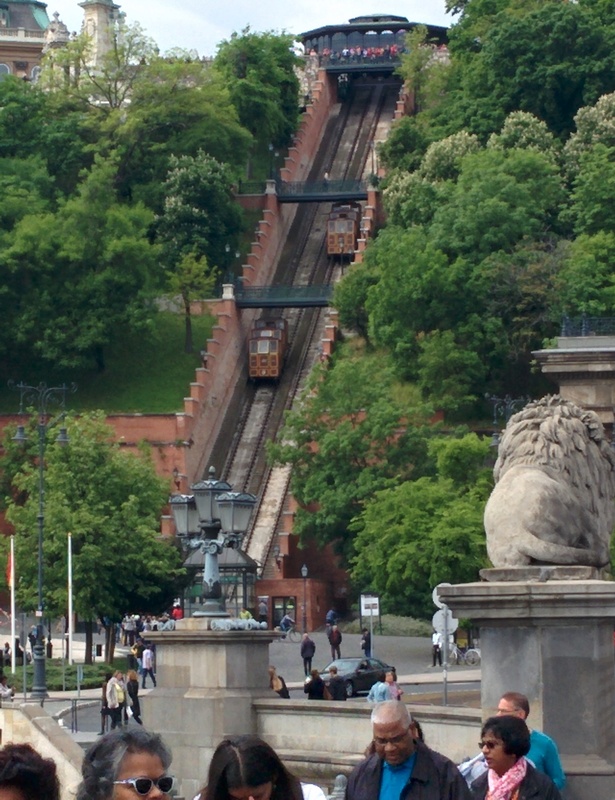 This time, I eschewed the funicular, mainly because the lineup was huge and it cost $10 one way. I have been trying to walk around a lot anyway to get some exercise every day. 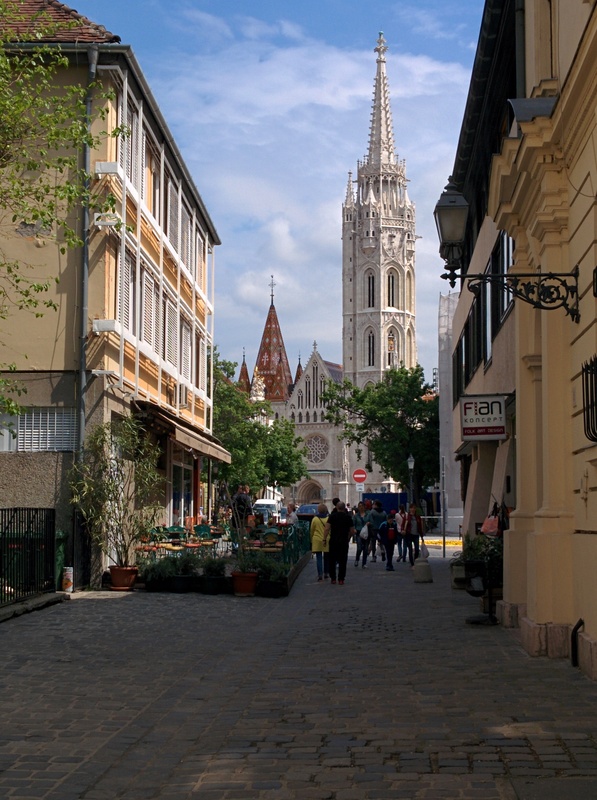 I got the lovely surprise of this view of Matthias Church as I rounded the corner. 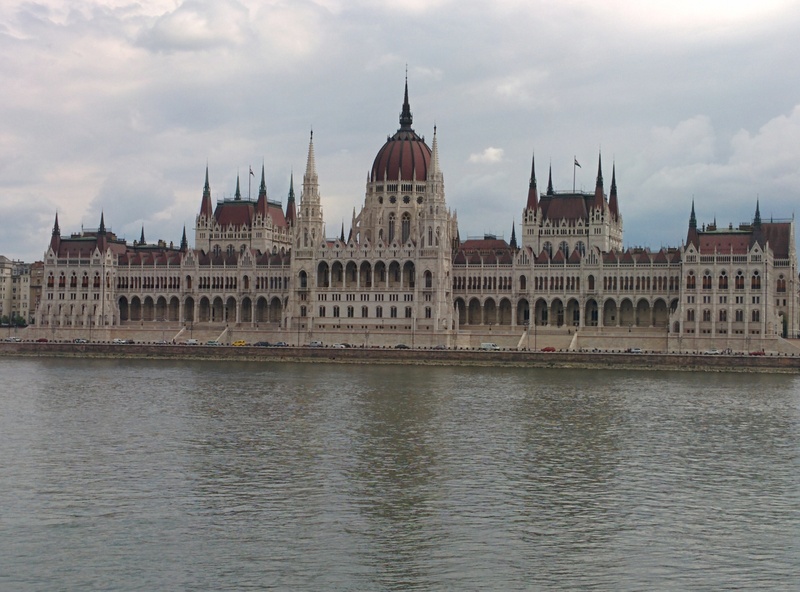 Then this view of the Parliament buildings in Pest on the other side of the Danube. I am now at the departure gate waiting for the first leg of my journey home. It has been a great trip but I have to work tomorrow. Yikes. 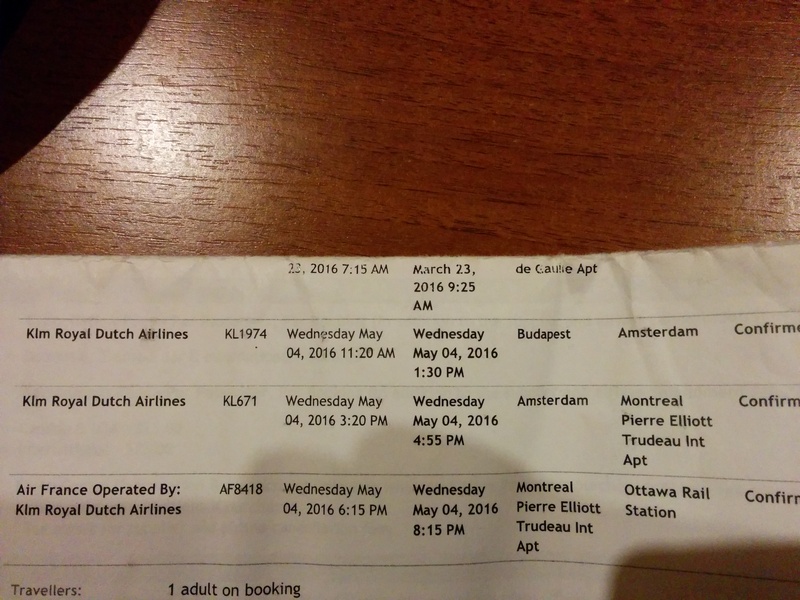 This entry was posted in travel and tagged Budapest, Hungary on May 4, 2016 by gillianknitter. Yep…loved it. Must start figuring out my next one. Not that I do much prep except buying a ticket and often a guidebook. I don’t much like to think about travel if I am not actually doing it. Unfortunately, all good things must come to an end…whoever first said this should be shot.